There's a time in everyone's life when they need to become immortalized and reprographed in a full-blown comic spread, complete with halftone dots and speech bubbles—or squares, if you're a square. 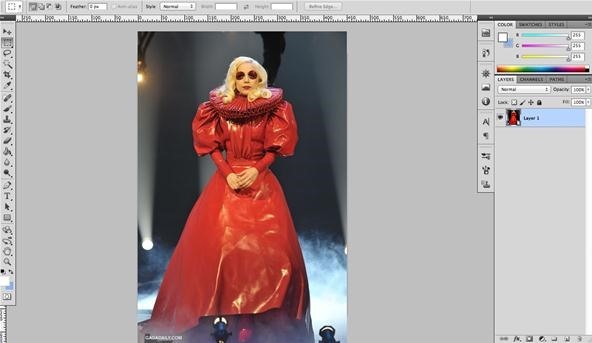 With our favorite program Photoshop, you can quickly turn any hyperbolic celebrity into a comical farce. Even normal people can become vintage villains with a little pixelation. There's literally a comic of every scene you can conceive of. The content of the image is not as important as the quality of the image. Try and look for a photograph or image that is well lit, but also has nice contrasts. Washed out images will make it harder for you to achieve the saturated look of comic books. 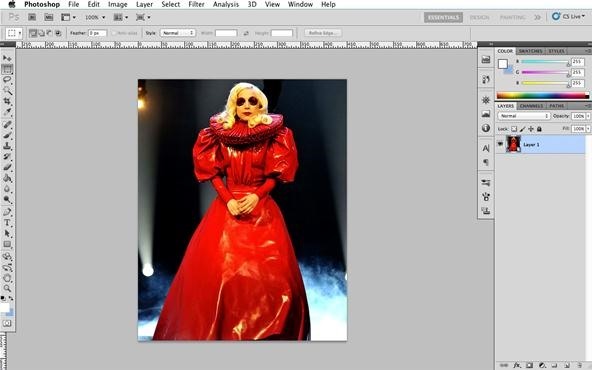 We chose Lady Gaga. 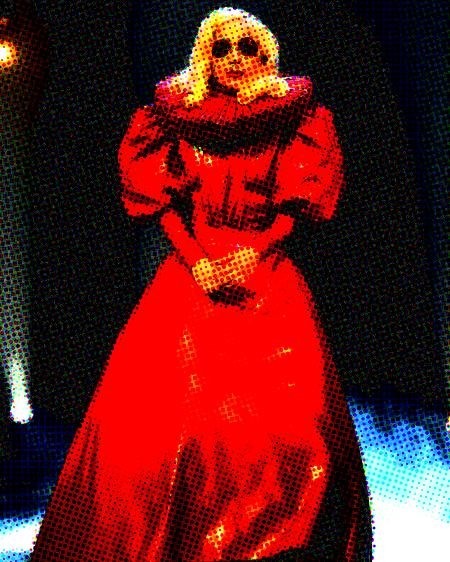 Dressed as an Elizabethan She Devil. 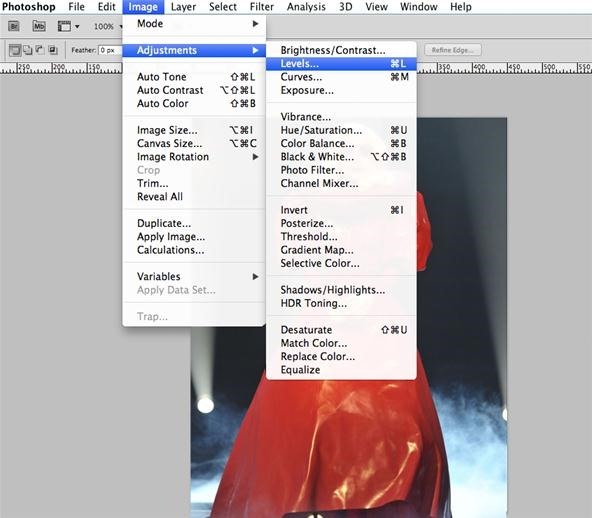 Right-click and copy the image, open Photoshop, File > New, and paste the image on the first layer. 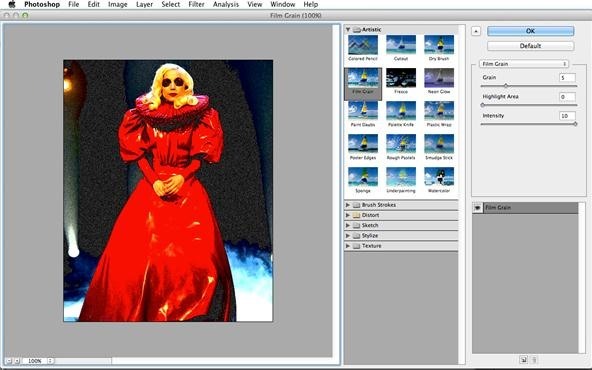 You can crop the image by using the crop tool or by pressing C and drawing a box around the area you want to keep in the image and double-clicking inside it. We're going to touch up the image a bit by increasing the contrast of it. 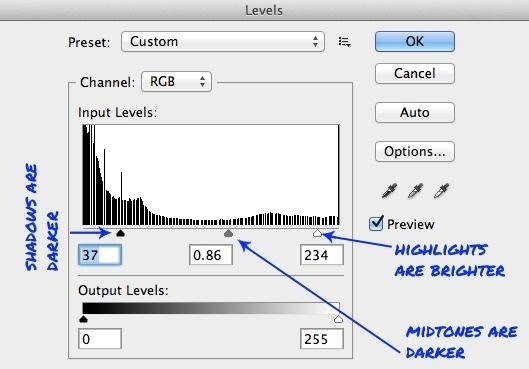 To have a bit more control over how we increase the contrast, we're going to use 'Levels'. 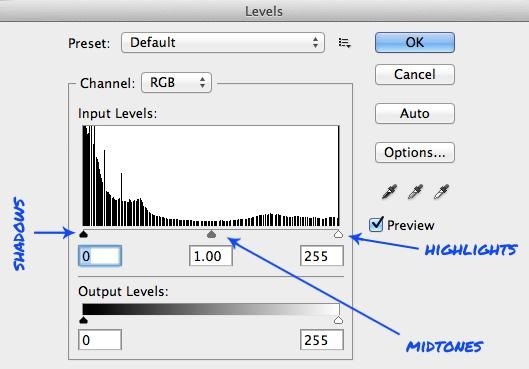 To open the Levels option, go to Image > Adjustments > Levels. You should see the following dialogue open. The graph will most likely be different from the one shown below, as it is charted using the image information. If you have Preview on, you can move the three pointers and see how the shadows, midtones and highlights get affected. We've increased our shadows significantly so we can get a pretty opaque background, decreased our midtones slightly, and brought up our highlights by nearly the same amount we darkened our shadows with. 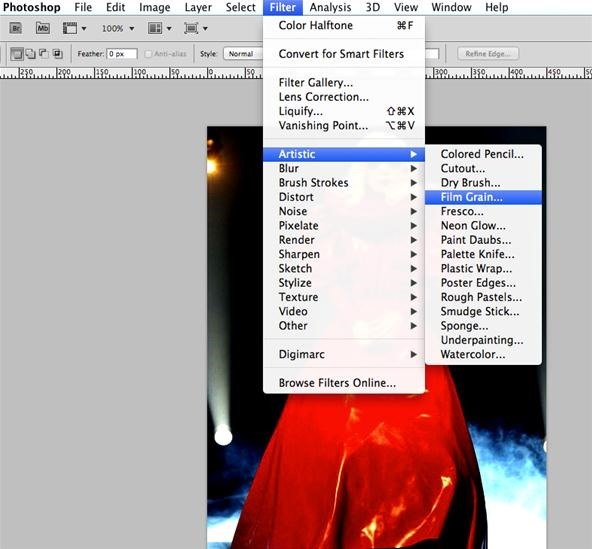 Apply the Film Grain filter to your image by going to Filter > Artistic > Film Grain. 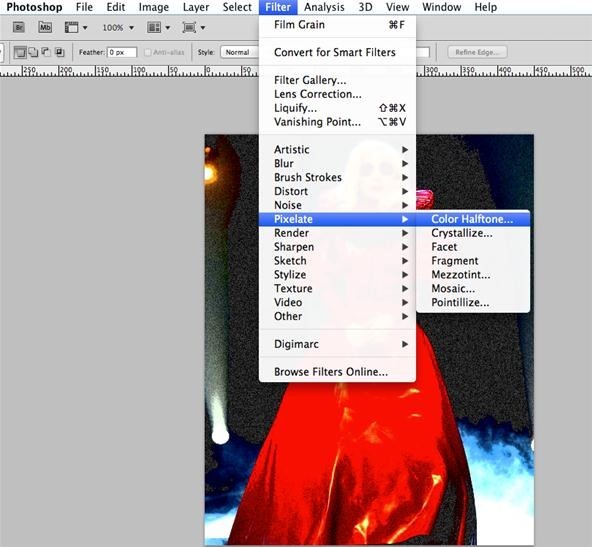 After you've clicked OK and applied the filter, duplicate the layer by right-clicking on the layer and selecting Duplicate Layer. 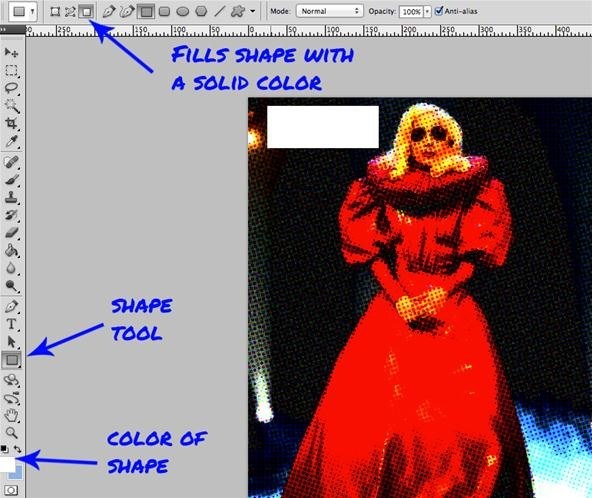 Click on the new layer and apply the Color Halftone to this layer by going to Filter > Pixelate > Color Halftone. A dialogue box should appear. Do not change the values of Channel 1, 2, 3 and 4. If you have a medium resolution image (less than 1,024), keep your radius at 4. 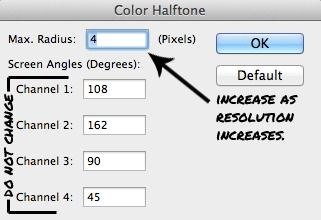 If your image is of high resolution, keep increasing the max radius until you see your half-tone pattern cover your image in this scale. 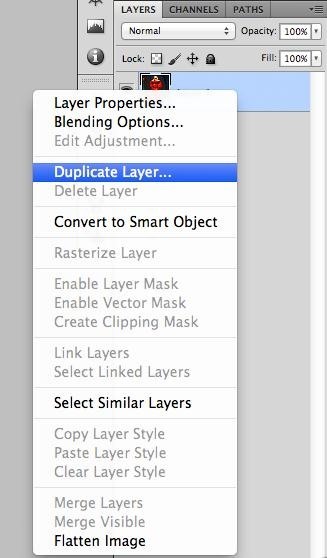 Now, change the blending mode of this new layer from Normal to Darken. You should now have a printed comic book effect on your image. Using the Shape Tool, set the fill with solid color and your color set to one of your choosing, then draw a box. Using a comic book font like Permanent Marker or any of these dialogue fonts, add some black text to the white box. If you're feeling creative, go wild with the fonts offered on Blambot Comic Fonts and really add that comic book feel. Now, create your own comics of celebrities... or whoever... and post them to our corkboard. Let's see what you've got. 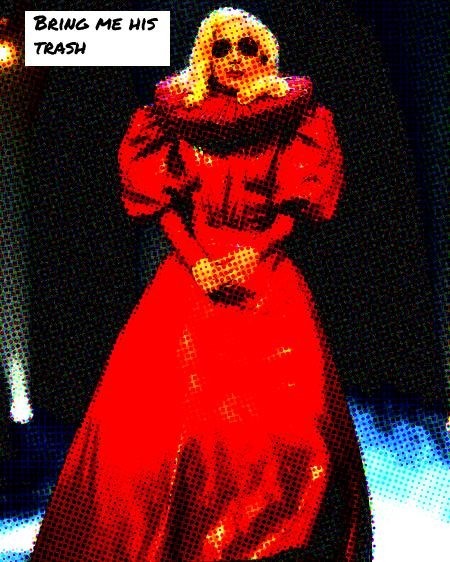 Surely it can't be better than this comic Gaga at her comic opera. But feel free to prove me wrong.